"The key to happiness is the mind. With the mind, we can switch our life to suffering or we can switch it to happiness, just as we change television channels, choosing to watch programs about fighting and war, or peaceful things, like the nature programs people seem to enjoy. Experiencing happiness or suffering depends entirely on what we do with our mind." - Lama Zopa Rinpoche. Sun of Devotion, Stream of Blessings is the record of a remarkable series of powerful and clear Dharma teachings given by Kyabje Lama Zopa Rinpoche in 2014 to students in Leeds and London, United Kingdom. 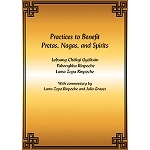 Lama Yeshe Wisdom Archive’s editor Gordon McDougall was present throughout these teachings and has now skillfully edited them into written form that retains the flavor of a great master giving precise instructions to the students sitting before him. 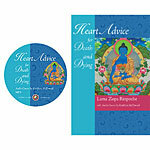 In this book, Rinpoche explains how to take care of our mind so that our happiness is in our own hands, gives profound teachings on the Buddhist philosophy of emptiness and discusses the need for ethics and a solid refuge. 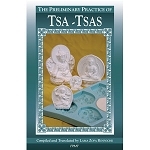 He shows us how to cut the root of samsara, explores why practicing certain tantras is important and especially emphasizes how the guru is the most powerful object of our Dharma practice. 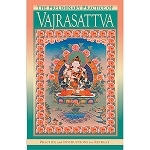 Gordon presents the subjects taught by Rinpoche in the order in which they were given, beginning with a deep commentary on the meaning of sang-gyä, the Tibetan term usually translated as “buddha,” and retaining the powerful method by which Rinpoche would repeatedly reinforce and expand upon earlier topics. Rinpoche also spends much time discussing the great qualities of Khadro-la (Rangjung Neljorma Khadro Namsel Drolma), the incredible being who has become so important to Tibetan Buddhism, FPMT and the world. Paperback, 2016 edition, 236 pages.